An unprecedented alignment of last days nations and groups is taking place today. According to the prophets Ezekiel and Daniel, this alignment would take place in the “latter times” (Ezekiel 38:8, 16; Daniel 2:28). 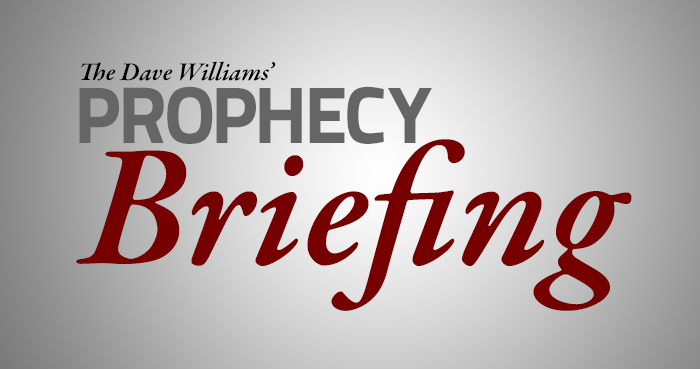 The specific positioning of many of these nations and groups has never happened in history—until now, and many end-time prophecies could not be fulfilled until these nations fell into place. Prophecy teachers of old told us, based on prophetic Scriptures that when we see Jewish people miraculously brought back to their land, we would know that we’re in the final stretch. It happened in May 1948. There is emerging a “New Europe” confederation that will have an enormous impact on trade, global resources, and eventually will either diminish the United Nations’ role in global affairs or completely take control of it. In Daniel chapter 2, we learn that the headquarters of the coming global government will likely begin in Europe. The alignment has begun. It’s clear the New World Order will originate in sort of a revived Roman Empire. In Ezekiel 38, we find an unprecedented alignment of certain nations in the latter times. Russia, also known as Rosh and Magog, Iran (Ancient Persia), Turkey (Ancient Togarmah), Lybia (Ancient Lybia), Sudan (Ancient Cush). Modern Ethiopia has historically been a Christian nation but now is sandwiched directly between the regions of ancient Ethiopia (Cush) which included Sudan to the north and west and Somalia to the south and east. These nations are both united in their hatred for Israel and have hosted terrorist networks like al-Qaeda, and Al Shabaab, known for its murderous slaughters in malls and colleges. Today we find Ancient Persia (Modern Iran) aligning with Russia and the southern Islamic nations. Russia and Iran, along with these nations mentioned above will attack Israel in the latter days. Today Russia is supplying Iran with nuclear technology and assisting in the construction of nuclear power plants. Turkey is now experiencing a national fervor to return to the glory days of their Ottoman Empire. They long for their Caliphate again. This amazing alignment we see today has never happened in all of history. The prophet Ezekiel gave a clear picture of this end time alliance coming together for the purpose of invading Israel. Then in Psalm 83, we see the terrorist alignment of the last days around Israel, identified by their ancient locations. Today they are the exact locations of the largest terrorist groups in the world, including Hamas, Hezbollah, Isis, and at least seven others. Isaiah 17:1 describes conditions in Syria in the last days. Jeremiah 49 describes a devastating event coming to Ancient Elam (now Southwestern Iran) that appears to be a nuclear devastation of some kind. That’s the exact location on the Bueshar nuclear power station—the largest in all of Iran. The Prophetic list goes on, including China and kings of the East, which likely includes North Korea. It’s all happening before our very eyes in this generation. No other generation has witnessed so many stage-setting events and brightly blinking signs that we could be the last generation. Just looking at the prophetic markers of our day, tells me something global, dramatic, sudden, and irreversible may be on the horizon. I agree wholeheartledly, Brother Dave. When you add in the advancements in A.I., genetic manipulation (Transhumanism), machine/computer/human syncretizing (the Singularity), cashless economies (bitcoin, etc. ), “superhero” propaganda (the nephilim rise again), it’s not a stretch to expect the trumpet, shout and voice anyday. Watch and pray (Lk. 21:36) for the blessed hope (Titus 2:1-14) Maranatha!